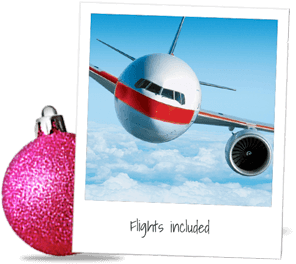 The holiday of a lifetime & experiences you'll never forget. 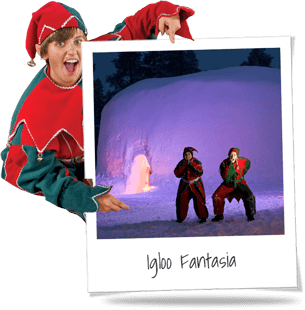 Flights are included, choose from 19 local UK Airports direct to Ivalo with FREE child places for Early Bookings. 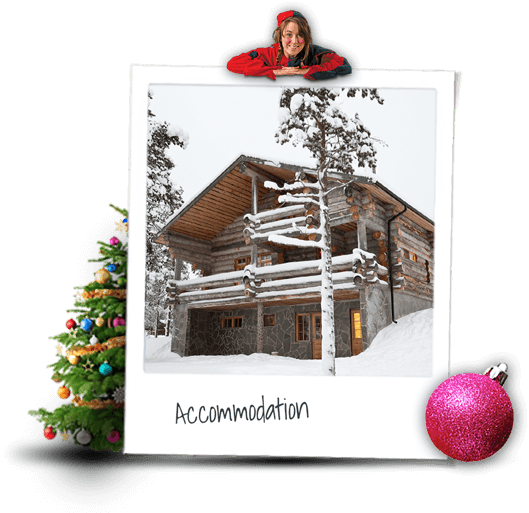 I have chosen three and four-diamond hotels with excellent facilities and food, and also my own Santa’s Christmas Cabins. Beware of others that offer one or two-star business-style hotels. 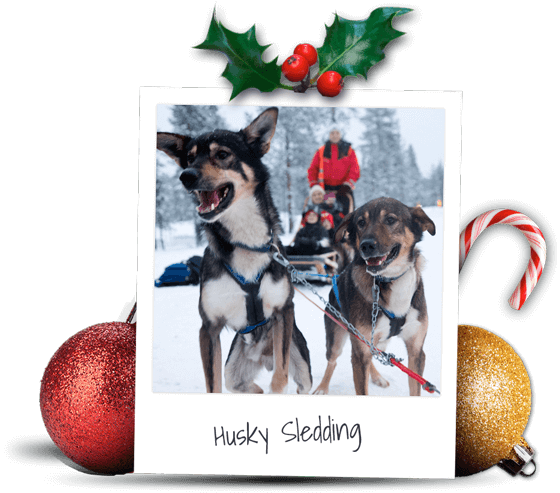 The children snuggle in a sled with a parent, and grown-ups can all take a turn at actually 'driving' your own team of huskies, cheered on by the children! The excitement of being in charge of five or six eager huskies, all raring to run and straining at the leash simply exhilarating! 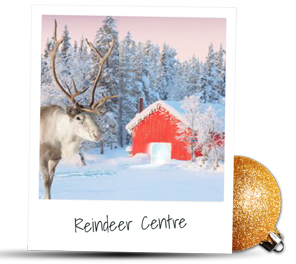 Come and discover my new Reindeer Centre. My Reindeer in their spare time like to play around in the snow and entertain themselves with some fun activities. 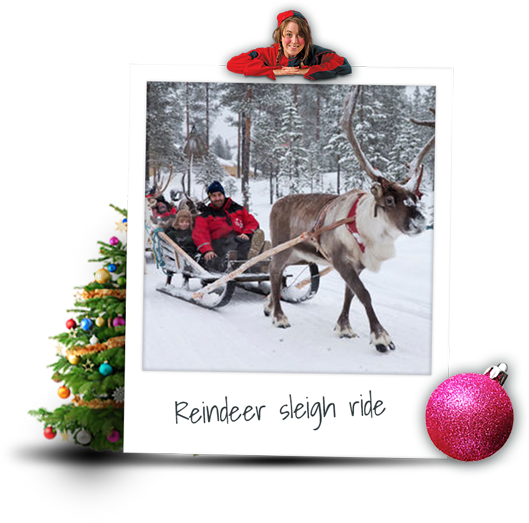 I offer a magical sleigh-ride through the snowy winter woods with a local Sami guide. I want to tell you about a very special Santa Secret. I have had my helpers build, just for you, two enchanting Igloos, hidden in the forest and never before seen by anyone. 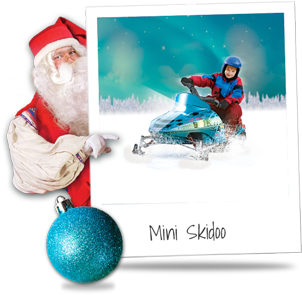 When you come to visit me, everyone gets to ride behind a snowmobile during our ‘Search for Santa’, and mini skidoos are available for the children. 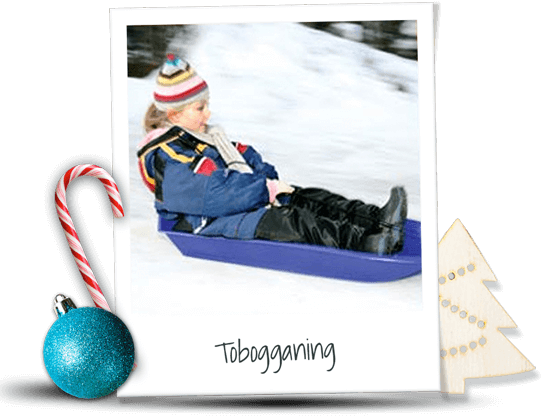 Tobogganing is great fun and I highly recommend it! My toboggans are available in Saariselkä on loan from outside of your hotel or cabin. There is also a lovely long purpose-built toboggan-run, as well as public areas used by younger children. The frozen lake in my Saariselka forest is a popular attraction where you can try the traditional Sami art of fishing through a hole in the ice. 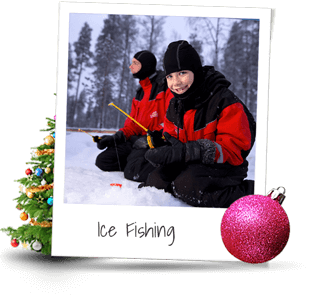 Be patient and maybe you'll catch a Lapland fish - then let him go again of course! Watching my team of helpers playing snow hockey with our visiting families always makes me laugh - how good do you think you and your family might be? 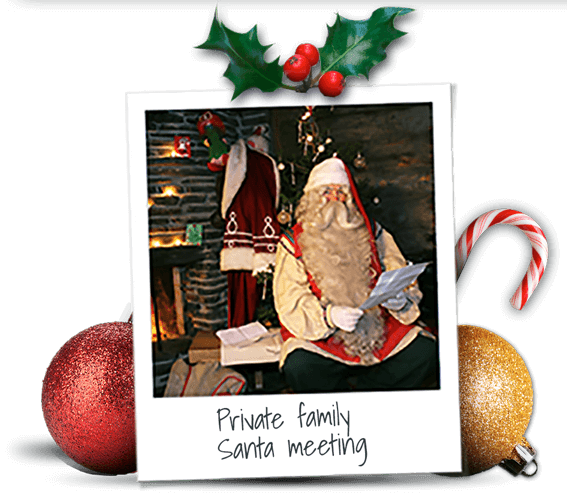 Just one of the activities you can try on your Lapland holiday to see Santa! Let's make magical memories. We're waiting to meet you!